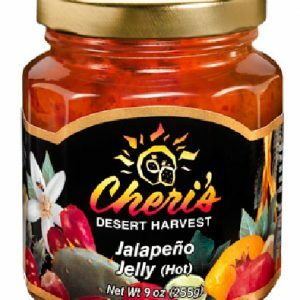 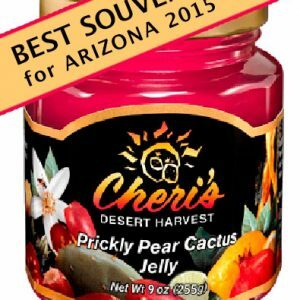 Cheri’s all-natural preserves are made from fresh fruits and vegetables indigenous to the Sonoran Desert. 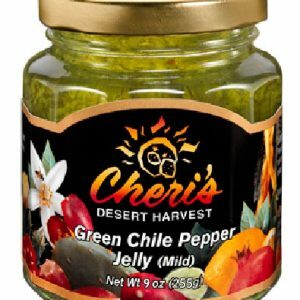 The fruit is hand harvested at the peak of ripeness to capture the exceptional flavor, color and nutrient content mother nature created. 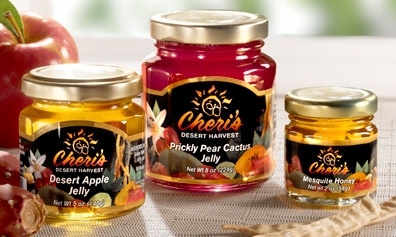 The jellies are made from the juice of fresh fruit. 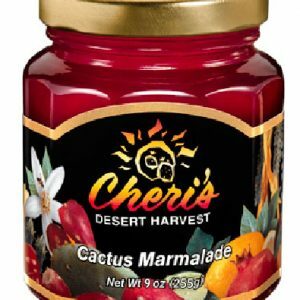 The marmalades are made with a combination of fresh fruit juices and whole citrus to enhance the fruit flavor and provide a tongue tingling tartness and texture. 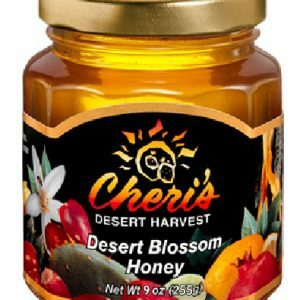 Honey is procured from local beekeepers to provide our customers with the unique flavor of desert wildflowers, native trees and cactus blossoms. 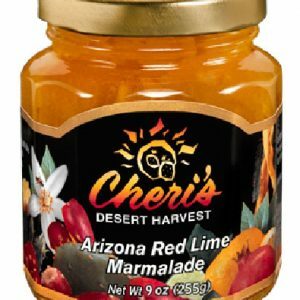 Another name for Arizona Red Lime is Rangpur Lime, a fruit that looks like a reddish-orange tangerine with the deliciously tart flavor of a lime, which yields a refreshingly flavorful marmalade. 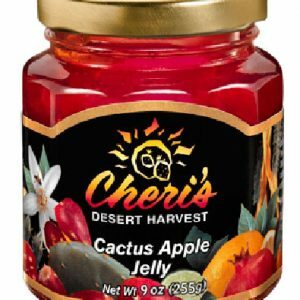 A blend of tart Granny Smith apples and juice from the prickly pear cactus fruit yields a distinctively tart, yet sweet flavor with a beautiful crystal clear rose color. 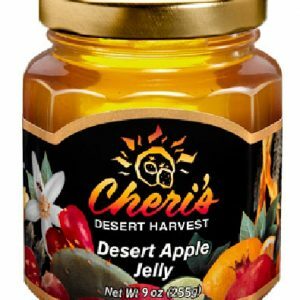 Tart Granny Smith apples and lemon juice produce a very refreshing and flavorful jelly. 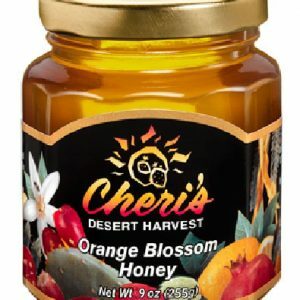 It is great as a warmed glaze over ham, yams or with Cheri’s Apple Mesquite Muffins. 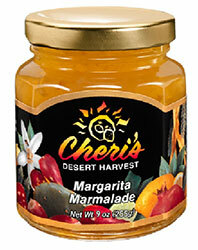 The tart flavor of Mexican limes, lemons and red limes is complimented with tequila and triple sec, to give you a truly unique marmalade and a memory of the Southwest. 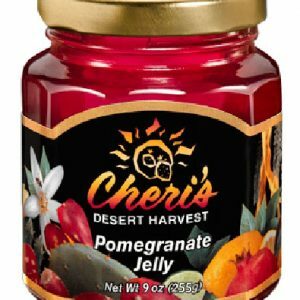 This preserve has a tantalizingly sweet, yet tart flavor that can have multiple applications from a condiment to a sweet glaze over meat. 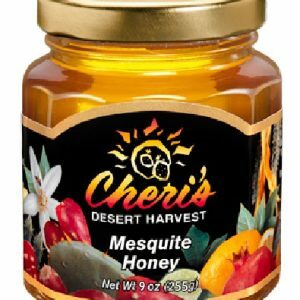 Mesquite honey is blushed with a touch of cactus juice to yield this beautiful magenta colored honey with a delicate, fruity flavor. 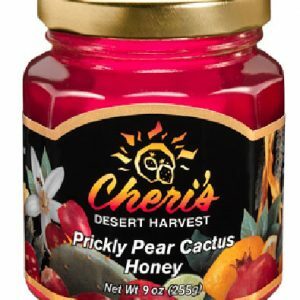 Grown on sun-drenched deserts and watered naturally by our generous monsoon rains, the succulent prickly pear cactus fruit produces a juice that has a rich, fruity flavor with distinct clarity, and a delicate aroma.